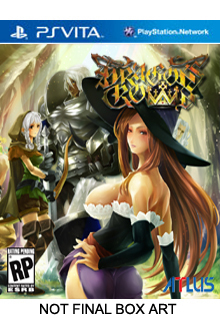 Atlus has announced they have picked up the publishing rights to Dragon's Crown PS3/Vita. We have now opened pre-orders on both versions. Scheduled to be released Q2 2012. Dragon’s Crown allows up to four players to team up online to clear out monster‐ridden dungeons, discover precious treasure, and destroy awe‐inspiring bosses. Its unique, highly replayable design means that every time players boot up and log on, they can expect a different experience and hours upon hours of satisfying adventuring.